A limited-edition, full size brush set and whimsical travel case ideal for any jet-setting journey. 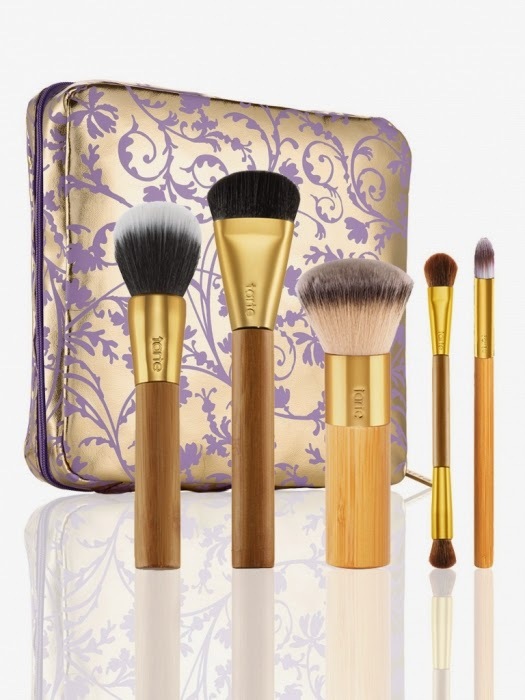 The perfect addition to any makeup junkie’s beauty wardrobe, this limited-edition brush set features a hand-picked collection of tarte’s best-selling, state-of-the-art brushes to cover, conceal and contour like a pro makeup tarteist. Each versatile, full size brush tool is crafted with sustainably harvested bamboo and ultra-soft, synthetic bristles and comes housed in a chic, collector’s brush bag that’s perfectly portable for all your romantic journeys.